Proactive press work is an important component of IndustrialPort’s corporate strategy. As advisors, we are concerned with making our customers’ decisions better and more sustainable as part of the consulting process. That’s another reason why we inform regularly about our innovations and developments. 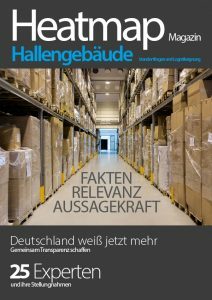 We achieve this together with strong partners such as the Institute of Economics in Cologne (IW) for the development of the new index IWIP, Savills Germany for Market Reports Logistics or together with WISAG for Facility Management costs. Various media have recorded our offers and reported to their readers about it. For your information, here are a few recent English links listing new developments at IndustrialPort.